The lord is our Shepard. 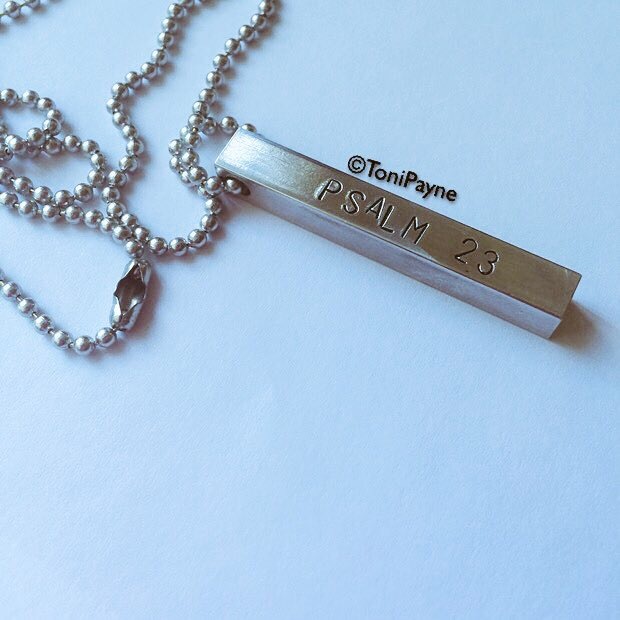 Get this popular Psalm of Protection in a custom hand stamped rectangular bar necklace. Luxurious Bling has teamed up with Author and Inspirational Speaker Toni Payne to create custom handmade jewelry. Each piece will have a theme and of course be meaningful. Each letter is hand stamped into the metal individually. Due to the nature of the item some letters may be slightly crooked. This is the nature and beauty of hand stamped jewelry.